Since 2014, the Baltic Sea region has emerged as one of the main areas of confrontation between Russia and NATO, with important roles also played by Sweden and Finland. Geography, tragic experiences of history, alliance relations, distribution of military assets, and each side’s threat perceptions, combined to create conditions for increased tensions with possibility of intentional, accidental, or inadvertent, escalation. Numerous Western analytical reports, publications and commentaries, and even works of TV and literary fiction, have been devoted to the possibility of such tensions escalating into conflict. Various scenarios of ‘hybrid warfare’, ‘Narva attack’ or ‘Suwalki gap blockade’ are frequently debated in the West and are becoming a factor in strategic planning at the national and NATO level. Among the Russian strategic community, there is an almost universal dismissal of such scenarios of a Russian attack viewed – in the eyes of Russian experts – as improbable and absurd ploys, reflecting only the insecurity of smaller countries in the region. Beyond the general anti-NATO propaganda, there seems to be much less actual concern in Russia about Western military build-up in the area. And relatively little is written in open sources about the specific challenges and vulnerabilities of the Russian military position in the Baltic Sea area, including about any specific Western threats to Russian assets in Belarus; to Kaliningrad; Pskov; or the St. Petersburg region – even if threat of subversion or attack from the West is frequently used as a scenario in Russian military exercises. It is nevertheless a fact that since 2014 we have seen a notable increase in military deployments, weapon acquisitions, exercises, and other military activities in the region. The Baltic Sea area has also seen a number of military and military-civilian incidents. Consequently, we can observe two processes: On one hand, there are efforts by States in the region to increase their deterrence and defence capabilities, as well increase the footprint of external security providers such as the US, Canada or Western European countries. On the other, there have been suggestions that arms control and confidence-building solutions for the Baltic Sea area can be developed to manage confrontation better and, in time, overcome it. This contribution will address both aspects: the challenging security environment and the opportunities for arms control. For the first challenge, delineating ‘the Baltic Sea Area’ itself is problematic. The ‘core region’, at least from the perspective of most scenarios of a NATO-Russia crisis or escalation, is not the Baltic Sea as such, but includes Lithuania, Latvia, Estonia, and North-Eastern Poland on the ‘blue’ side, and Kaliningrad, Pskov, St. Petersburg and Eastern Belarus on the ‘red’; alongside the Eastern part of the Baltic Sea. However, this is not enough: Capturing all the relevant military developments and activities connected with a NATO-Russia crisis in the core Baltic Sea area requires enlarging the zone. It would be artificial to exclude from the picture Finland and Sweden – EU members with strong links to NATO countries in the region and increasingly stronger ties to NATO itself. It would be necessary therefore to include them in the “Baltic region”, in addition to the rest of the territory of Poland, Northeastern Germany, and Denmark to one side, and Russia’s Western Military District and Murmansk region to the other. Areas requiring further consideration, as they would end up playing important roles in ‘Baltic’ scenarios, are capabilities not geographically located anywhere per se, such as cyber and information warfare assets, and those from outside of the Baltic Sea area, such as long-range aviation, ballistic and cruise missiles. Before 2014, the intensity of military activities and deployments in the ‘core’ and ‘enlarged’ Baltic region remained limited. Subsequent waves of NATO enlargement, and Russia’s modest military reforms and modernisation, were managed through a number of instruments. 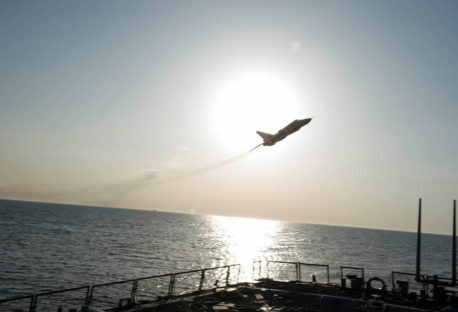 According to the 1997 NATO-Russia Founding Act pledges, NATO did not deploy nuclear weapons and did not permanently station substantial combat forces on the territories of its Member States in the region; Baltic Air Policing launched in 2004 and provided the only notable NATO deployment there with, usually, only four fighters in one base. Across the border, Russia also exercised restraint in the deployment of new military units in the Kaliningrad and Pskov areas, and did not treat Kaliningrad as priority for re-armament and introduction of new capabilities. With some exceptions (Estonia and Poland), the level of military spending in the region remained low – including in Sweden and Finland. 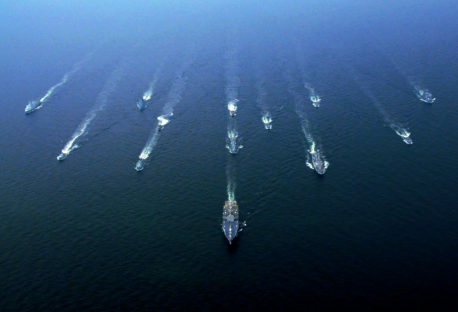 No large-scale multinational defence-oriented drills were conducted on the Western side until 2013 (NATO Steadfast Jazz), and a number of exercises such as the Baltic Sea’s BALTOPS had a cooperative character with the presence of NATO, Russian, Swedish, and Finnish units. The Russian-Belarussian Zapad strategic exercises increased in scale and sophistication with the advances of the Russian military reform, but not even the large-scale Zapad drill in 2013 was seen as a game-changer requiring major adaptation on the Western side. However, the chances for maintaining military restraint had already started to look bleak in the pre-2014 period. For the Russians, the process of introducing new offensive and defensive capabilities to the units situated on the border with NATO moved forward as they accelerated re-armament and military reform post-2008. The timetable of some of these new Russian deployments (Iskanders for the Kaliningrad missile brigade) were up played for political purposes. From the Eastern European NATO members position, an anxiety about Russia, post the 2008 Georgian war, manifested itself through a changing of focus over their armed forces from expeditionary operations to territorial defence. They were also making concerted efforts to push NATO towards strengthening the focus on the Eastern flank through more exercises, deployments, changes of command structure and contingency planning. NATO countries in the region were particularly critical of the 1990s restraints on NATO deployments, and firmly rejected the notion that Russia would be persuaded to change its foreign and security outlook by NATO’s moderation. The Russian annexation of Crimea, intervention in Eastern Ukraine and designation of NATO as a principal threat to its security, has added several layers of complexity to the Baltic regional security dynamic. Beyond the activation of NATO-Russia crisis dynamics, Finland, and, most radically, Sweden decided on significant corrections of their security postures in response to new challenges from the East. A targeted, limited strike meant to break the cohesion of NATO, exploiting regional force imbalances and Russia’s capability for rapid concentration and forward-deployment of forces. Significant national-level efforts to strengthen defensive and offensive capabilities. The latter included the increase of military budgets and size of the armed forces, re-introduction of conscription in some cases, acquiring of new weapons, and a boost of the civil-military defence preparations. Moreover, the intensity and scale of exercises focusing on territorial defence were increased, and included recent large-scale drills such as the 2017 Swedish Aurora exercises, enhanced US-led Saber Strike exercises, and the high-visibility 2018 NATO Trident Juncture exercise in Central Norway, with the participation of approximately 35,000 troops. Beyond the major build-up of forces in occupied Crimea, Russia has proceeded with re-organisation of its forces and deployments along the rest of Ukrainian border (with three new motor rifle divisions and an anti-aircraft missile brigade being formed – units which can also be used in any Baltic Sea contingency). In the Moscow region, the 1st Guards Tank Army was created in 2015, alongside the 2nd Guards Motor Rifle “Tamanskaya” Division, and the 4th Guards “Kantemirovskaya” Tank Division. 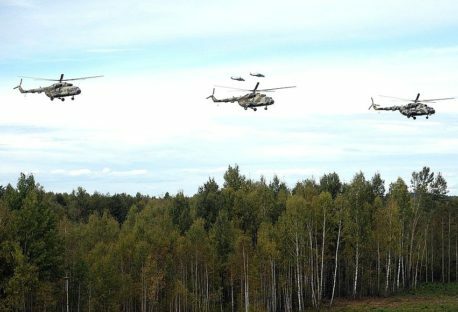 While only one significant new unit was formed in the vicinity of NATO territory (15th Army Aviation Brigade in the Pskov region), the advances of the military re-armament programme resulted in an increase of capabilities and firepower of existing Russian forces in the Western strategic direction. The introduction of S-400 air defence systems, Iskander missile brigade sets, Bastion coastal defence systems, electronic warfare, long-range rocket artillery systems, and modernised armour, together with new command and control, made them a much more formidable force. After a long period of relative neglect, the Baltic Sea Fleet started receiving new ships armed with Kalibr anti-ship/land-attack missiles; the Russian exercise programme continued to include both scheduled and snap exercises – with the Zapad 2017 strategic drills demonstrating an ability to mobilise and forward-deploy forces, defend Russian and Belorussian territory, and conduct a counter-attack against a NATO-like opponent. The most reliable external estimates for Zapad 2017 put the number of troops taking part at roughly 45,000, with more than half of those exercising in the areas beyond those officially linked to drills by Russian and Belorussian authorities. Against this challenging background, there are still some reassuring features. One can note primarily that none of the military incidents connected with increased activities in the Baltic Sea region have resulted in casualties or the use of force. In the nuclear sphere, NATO has not departed from the 1990s ‘three no’s’ policy on not stationing nuclear weapons on the territory of the Eastern member states. Russia, despite some troubling nuclear signalling, did not decide to introduce nuclear weapons explicitly into the crisis (which it could have, for example, by notifying deployment of nuclear weapons to Kaliningrad). NATO has been careful to avoid violating the pledges made in the 1997 Founding Act on permanent stationing of substantial combat forces, even if it is engaging in a range of activities just below to this pledge. The way forward: Baltic Security Symposium? In such a dynamic environment, any ideas to create a sub-regional arms control regime with restrictions on military holdings, infrastructure, outside deployments and military activities, and with pre-agreed zones of application and verification regime seem to be a non-starter. The “Western” countries of the region remain focused on strengthening their deterrence and defence potential vis-à-vis Russia. Instead of restraining themselves, they work actively to secure existing and – if possible – add new elements to the defence posture. There have been announcements about further strengthening of defensive (Patriot aid and missile defence systems for Poland and Sweden) and offensive capabilities (long-range artillery and rocket systems for Baltic states and Poland, long-range stand-off JASM missiles for F-16 aircraft and new attack submarines for Poland). Further significant proposals include adding the air defence component to the NATO Forward Presence in the Baltic States and Polish efforts to secure permanent stationing of US units in the country. In regards to Russia, it is likely in coming years to proceed with the modernisation of its military infrastructure and the introduction of new or modernised weapon systems into the Western Military District. The further strengthening of Russian forces in Kaliningrad will most likely also be a priority, and one can expect the prolongation of a busy exercising schedule. As long as NATO countries in the region prioritise the strengthening of their deterrence potential, they are unlikely to be prepared to limit their options through an embrace of arms control. External suggestions or pressure to move in this direction, such as those coming from Germany (Steinmeier initiative), may be counter-productive as the countries of the region are already suspicious of a possible Trump-Putin or Russia-West bargain that would put limitations on NATO’s freedom of action in the region. Russia so far has shown little interest in reducing tensions or embracing pan-European or sub-regional conventional arms control. It has also moved away from existing confidence-building measures with NATO countries, such as withdrawing from the CFE Treaty and suspending additional CSBM arrangements with Lithuania. Even if this is to change, any initiative by Moscow suggesting an arms control solution for the Baltics is likely to be met with suspicion in the region. Poland and three Baltic states would assume that the ultimate aim of such proposals would be to weaken the resolve of the Alliance and thus compromise their security. They would also point out that any such regime, even if comprehensive enough to include all relevant forces and systems, would be of limited effectiveness given the potential for rapid deployment of forces from beyond the zone, and the possibility of using of long-range strike systems. Paradoxically, an opportunity for significant arms control initiatives may open up after current plans for strengthening the military potential of the countries of the region (Russia included) and completing NATO’s regional deterrence posture are implemented. Only when the countries of the region are confident about their ability to deter an attack and defend against surprise strike scenarios, may they be ready to discuss arms control options, if only to avoid additional spending and to stabilise the situation. Until countries of the region reach a stage in which conventional arms control solutions become attractive, additional CSBMs between the states concerned and unilateral measures (such as moratoria on some kind of exercises) may be the most feasible way forward. 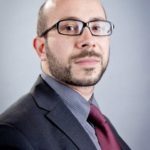 These may be focused primarily on increasing the transparency and predictability of ongoing military activities, as well as reducing the space for brinkmanship or incidents. Using existing formats for bilateral or regional CSBMs and incident-prevention mechanisms, such as confidence-building agreements conducted under Vienna Document Chapter X, or Incidents at Sea Prevention agreements (INCSEAs), should be relatively easy if political will is present. Concerning the contribution of the expert community, a dedicated Track 1.5 or Track 2.0 dialogue format aimed at formulating specific military confidence-building proposals for the region should be contemplated; such an effort could bring together former officials and military experts from Russia, Belarus, Poland, Lithuania, Latvia, Estonia, Sweden, Finland, Germany and Denmark. To assure regional buy-in, such a dialogue could be led either by non-aligned Sweden or Finland, or by one of the smaller countries in the region, e.g. Latvia, Lithuania or Belarus. The Riga Dialogue could be a good umbrella framework for these detailed discussions, as it already brings participants from these countries together. Such a “Baltic security symposium”, focused both on credible deterrence and arms control solutions, could be a space for developing ideas that could improve the regional security in the Baltic Sea area. Richard Shirreff, War with Russia: An Urgent Warning from Senior Military Command, 2017.